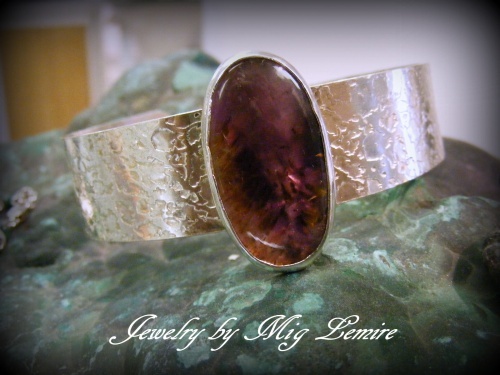 This gorgeous sterling silver cuff has been hand textured and is about 1" wide. The gemstone is Amethyst Sage. One of a kind beautiful and sparkly.